The American Nurses Association (ANA) supports the federal Home Health Care Planning Improvement Act of 2011 (S.227), which has recently received an additional sponsor to the bill. The bill enables advanced practice registered nurses (APRNs), nurse practitioners (NPs), clinical nurse specialists (CNSs), certified nurse midwives (CNMs) and physician assistants (PAs) to order home healthcare services through the Medicare system. Currently, federal law prohibits these professionals from ordering services. The ANA notes that this prohibition causes delays and consequent additional expenses within the Medicare system. This also causes delays in moving patients from expensive institutional settings to less expensive, often preferable, home health care settings. The bill is sponsored by Senator Susan Collins [R-ME] and is co-sponsored by Daniel Akaka [D-HI], Kent Conrad [D-ND], Daniel Inouye [D-HI], Tim Johnson [D-SD], Jeff Merkley [D-OR], John Reed [D-RI], and Ron Wyden [D-OR]. According to the US federal government, this bill revises limitations for “home health care services. Allows payment for home health services to Medicare beneficiaries by: (1) a nurse practitioner, (2) a clinical nurse specialist working in collaboration with a physician in accordance with state law, (3) a certified nurse-midwife, or (4) a physician assistant under a physician's supervision.” The bill has been referred to the Senate Finance Committee. New research published in the New England Journal of Medicine concludes that nursing understaffing leads to higher patient mortality rates. A direct relationship between the ratio of nurses to patients is linked to patient safety and a lack of nurses results in deaths. An examination of nearly 200,000 nursing shifts showed that staffing of “RN’s below target levels” is directly and causally related to increased patient mortality. Cost cutting techniques involve reducing the number of nurses in hospitals and medical clinics. The release of this data now links cost cutting techniques with increased death rates. Nearly a decade ago, another study linked the proper staffing of nurses to better patient outcomes. This follow-up study now highlights the dangers of nursing shortages. In one finding, understaffing of nurses leads to inappropriate and dangerous levels of patient transfers and discharges. The study also concludes that nursing shortages are directly linked to higher nursing shift turnover rates. The study concluded the risk of death increased 2% for patients exposed to shifts below target RN staffing levels. The average patient was exposed to 3 nursing shifts below target levels thereby creating a 6% higher risk of death. High turnovers of nursing shifts resulted in a 4% higher death rate. The ANA (American Nurses Association) has commented on this finding by saying that policymakers need to focus on reimbursement systems that reward hospitals for proper nurse staffing levels. The ANA’s recommendations follow an emerging philosophy of creating monetary rewards for better patient outcomes rather than that from cost-per-patient profits. Nurse Staffing and Inpatient Hospital Mortality. Jack Needleman, Ph.D., Peter Buerhaus, Ph.D., R.N., V. Shane Pankratz, Ph.D., Cynthia L. Leibson, Ph.D., Susanna R. Stevens, M.S., and Marcelline Harris, Ph.D., R.N. N Engl J Med 2011; 364:1037-1045. California State law limits the power of the California Insurance Commissioner to control rate hikes by health insurance companies. Blue Shield plans to raise insurance rates approximately 35 percent in addition to two other recent rate hikes. In total, some Californians will see an increase of up to 60 percent in their health care premiums from 2010 to 2011. Blue Shield has released a statement that the rate hikes are unrelated to the Affordable Care Act. 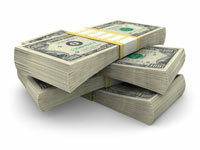 Blue Shield notes that the rate hikes in California are due to increased medical costs. Governor Jerry Brown takes office in California and moves for clean energy jobs. Governor Brown notes, “Investments in clean energy produce two to three times as many jobs per dollar as gas, oil or coal.” He adds that clean energy investments prevent the outsourcing of energy jobs to other countries and reduces harmful air pollutants. Gov. Brown’s plan is divided into several tiers of renewable energy projects, which include solar, wind, small hydro, geothermal, and biomass. The first tier is to build 12,000 MWs of localized electricity generation. This focuses on onsite energy systems or systems near the area where the electricity is consumed. This cuts down on costs associated with energy transmission lines and environmental impact. Solar systems on roofs of warehouses, parking lot structures, schools, and commercial buildings can typically handle 2 MW solar systems. Larger public and private lands and solar panels alongside highways can typically handle 20 MW systems. Gov. Brown also notes that legislation to limit rates and protect consumers must accompany this part of the plan. The second tier of Gov. Brown’s system is to build 8,000 MW of large-scale renewable energy production and associated transmission lines. He has several legislative solutions to focus on cutting red tape. Notably, he calls for a general plan with one, large environmental review. Gov. Brown has a fast track plan to cut California’s infamous ‘red tape’ beuracratic burden for new clean energy projects, which currently makes the average large scale project a 6 to 8 year ordeal. His plan will reduce that time to less than three years. Also, he plans to push for legislative standards to require a minimum of 33 percent renewable energy for the State of California. Next, Gov. Brown plans to create 8,500 jobs by incentivizing the development of energy storage systems to offset peak energy demands. Also, he has a plan to increase the energy efficiency of buildings and appliances. Gov. Brown’s energy plan will also incentivize cogeneration. Cogeneration is combined heat and power projects, which makes use of excess heat or electricity generated by industrial and power plants. The healthcare impact may be substantial if Gov. Brown can achieve his goal of 20,000 new megawatts (MW) of renewable electricity by 2020. Reducing air pollution will reduce asthma rates and other diseases and the subsequent impact on the hospital system, nurses, nursing professionals, doctors, acupuncturists, and many other healthcare professionals. President Obama has signed the James Zadroga 9/11 Health and Compensation Act (HR 847) while in Hawaii. The Whitehouse released that this new law “extends and expands eligibility for compensation under the September 11th Victim Compensation Fund.” The Department of Health and Human Services is charged with the responsibility of running the World Trade Center Health Program with the passage of the legislation. The law states that there will be “medical monitoring and treatment benefits to eligible emergency responders and recovery and cleanup workers” and “initial health evaluation, monitoring, and treatment benefits to residents and other building occupants and area workers in New York City who were directly impacted and adversely affected by such attacks.” This law extends benefits to survivors of the 911 attack on the World Trade Center in New York City. A committee has been established to advise on health related issues concerning survivors and responders. It is composed of 4 occupational physicians (at least 2 of whom have experience treating WTC rescue and recovery workers), 1 physician with expertise in pulmonary medicine, 2 environmental medicine or environmental health specialists, 2 WTC responders, 2 WTC survivors, an industrial hygienist, a toxicologist, an epidemiologist, and a mental health professional. A Steering committee has been established to coordinate health evaluations, treatment programs, and monitoring. It is comprised of representatives from the Centers for Excellence (servicing WTC responders), firefighters, police, NYC employees, and recovery and cleanup workers (including healthcare professionals such as nurses and nursing practitioners) who responded to the September 11, 2001 terrorist attacks. The steering committee also has 3 representatives from New York City. One will be selected by the NYC police commissioner, another by the NYC health commissioner, and another by the mayor of New York City. The Food Safety Modernization Act is expected to be signed into law by President Obama. This is the first major overhaul of United States food safety laws since 1938. The act gives the FDA new authority to recall tainted food. Under current law, the FDA can recommend a recall but it is ultimately the food companies who voluntarily recall suspect foods. The proposed law also gives additional protections for whistleblowers who report food manufacturing problems related to fraud. The Food Safety Modernization Act applies to the FDA, which affects approximately 80 percent of the food supply. Another 20 percent of the food supply is regulated by the Department of Agriculture and is unaffected by the proposed law. Included in the 20 percent of unaffected food products is all meat, poultry, and some egg related products. One provision of the Food Safety Modernization Act is a new requirement for manufacturers and farmers to develop anti-contamination protocols. The act also gives the FDA authority to review food industry and farm internal records. Further, the act requires imported food to be certified as meeting US safety standards. 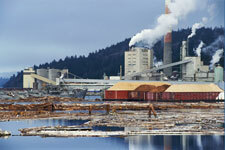 The act also increases the frequency of safety inspections at industrial food processing plants. Under current provisions, the FDA inspects plants approximately once every ten years. Under the new proposed law, this will occur at least once every five years at high-risk facilities. Sen. Harry Reid notes that 5,000 people die every year in the US due to food poisoning. He notes that the new act empowers the FDA to prevent outbreaks from contaminants such as E. Coli bacteria in the food supply. In an interesting twist, a provision to self-fund the act with user fees collected from food companies was removed from the House version before passage. Republican Rep. Jack Kingston, who has oversight authority of the FDA because he sits on the House appropriations subcommittee, objects to the new law citing that it is too expensive at a cost of $1.4 billion over a period of five years. Had the user fees been included in the proposed law, this issue would not exist. All three GOP lawmakers on the House appropriations subcommittee voted against the Food Safety Modernization Act. The Food Safety Modernization Act provides for inspection of food production records, registration of food facilities, hazard analysis and risk-based preventive controls, performance standards, standards for produce safety, protection against intentional adulteration of foods, a national agriculture and food defense strategy, food and agriculture coordinating councils, building domestic capacity, sanitary transportation of food, food allergy and anaphylaxis management, and requirements for guidance relating to post harvest processing of raw oysters. Improvements in the capacity to detect and respond to food safety problems include targeting of inspection resources for domestic facilities, foreign facilities, and ports of entry; laboratory accreditation for analyses of foods, an integrated consortium of laboratory networks, enhancing tracking and tracing of food and recordkeeping, mandatory recall authority, administrative detention of food, decontamination and disposal standards and plans, improving the training and continuing education of State, local, territorial, and tribal food safety officials, enhancing food safety, and improving the reportable food registry. Improvements to imported food safety include a foreign supplier verification program, a voluntary qualified importer program, authority to require import certifications for food, prior notice of imported food shipments, building capacity of foreign governments with respect to food safety, inspection of foreign food facilities, accreditation of third-party auditors, foreign offices of the Food and Drug Administration, and controls to identify smuggled food. Other provisions include whistleblower protections and methods to determine budgetary effects. The FDA Food Safety Modernization Act, HR 2751, passed in the House on June 9th and passed in the Senate with changes by voice vote on Dec. 19th. The act was cleared for the White House on Dec. 21st, 2010 when the House of Representatives agreed with the Senate’s changes by a vote of 215 Ayes, 144 Nays, and 74 Present/Not Voting. The Dec. 21st vote was 205 Democrats and 10 Republicans voting in favor of the measure. Opposing the food safety act were 8 Democrats and 136 Republicans. New research published in the American Journal of Cardiology shows that red yeast rice is as effective in lowering cholesterol levels as statin drugs. The focus of the study compared red yeast rice (Hong Qu, Hong Mi, Chi Qu) with Pravastatin. The study concluded that “red yeast rice was tolerated as well as pravastatin and achieved a comparable reduction of low-density lipoprotein cholesterol in a population previously intolerant to statins.” Patients taking pravastatin had a decrease of of low-density lipoprotein cholesterol (‘bad’ cholesterol) of 27% and the red yeast rice group had a slightly better outcome with a 30% reduction. The study was conducted at the Center for Clinical Epidemiology and Biostatistics, University of Pennsylvania School of Medicine, Philadelphia, Pennsylvania. Halbert, French, Gordon, Farrar, Schmitz, Patti, Morris, Thompson, Rader, Becker; Tolerability of Red Yeast Rice (2,400 mg Twice Daily) Versus Pravastatin (20 mg Twice Daily) in Patients With Previous Statin Intolerance; American Journal of Cardiology, Volume 105, Issue 2, P. 198-204, 15 January 2010. Becker DJ, Gordon J, Halbert SC, French B, Morris PB, Rader DJ. Red yeast rice versus placebo in dyslipidemic, statin-intolerant patients enrolled in a therapeutic lifestyle program: a randomized, controlled trial. Ann Intern Med. 2009;150:830–839. The FDA has pulled Darvon and the related brand Darvocet from the marketplace. In addition, the FDA ordered generic drug makers to discontinue making drugs containing propoxyphene - the active ingredient in Darvon. Britain outlawed Darvon in 2005 and the European Union outlawed Darvon in 2009. The FDA pulled the drug based on new research showing that it leads to heart arrhythmias. Other side effects such as increased suicidal rates and accidental overdoses were instrumental in the European Union’s banning of the drug. Propoxyphene is also noted for its high death rate associated with intake. The death rate for patients taking propoxyphene is 16 deaths per 100,000 prescriptions. The initial requests to remove propoxyphene were submitted to the FDA in 1978. The FDA took no action at that time citing that the benefits of the drug outweighed its risks. In January 2009, the FDA voted 14 to 12 in committee to discontinue propoxyphene products in the marketplace. In July 2009, the FDA changed its decision and allowed propoxyphene to continue in the marketplace but with increased warning label requirements. The EPA (Environmental Protection Agency) and the Department of Transportation (DOT) will phase in the first ever greenhouse gas and fuel efficiency standards for trucks and buses. The programs begins in 2014 and gradually increases fuel economy and emissions standards over several years. It is estimated to reduce greenhouse gas emissions by 250 million metric tons and save 500 million barrels of oil over the lives of the vehicles manufactured in the first five years of the program. US Transportation Secretary Ray LaHood notes, “Through new fuel-efficiency standards for trucks and buses, we will not only reduce transportation’s environmental impact, we’ll reduce the cost of transporting freight.” He also commented that this is an example of benefiting consumers, business, and the environment simultaneously. The NHTSA and EPA note that a semi truck operator will save approximately $74,000 over the life of the vehicle as a result of higher mileage standards. The National Highway Traffic Safety Administration (NHTSA), a division of DOT, proposes to increase mileage and emission standards for combination tractors, heavy-duty pickups and vans, and vocational vehicles. Manufacturers will use several types of technological solutions to meet the more stringent standards. Vehicles will get engine and transmission upgrades and will also have improved aerodynamics and tire rolling resistance. The total benefit to businesses and consumers in cost savings is estimated at $41 billion between 2014 and 2018. Improvements in air quality and the impact on public health were not included in the estimates. Improved air quality as a result of stringent vehicle emissions standards reduces the health impact on Americans. Doctors, nurses, acupuncturists, and all health care professionals treat many disorders such as COPD, asthma, and cancer that are more prevalent with increased airborne carcinogens and pollutants. Reduced vehicle emissions and the associated improvements in air quality will ease the health impact of hydrocarbon related health hazards on hospitals and insurance costs. Moreover, better mileage for trucks and buses will ease financial burdens on businesses burdened by fuel costs. The 1986 National Childhood Vaccine Injury Act, passed by Congress, holds that vaccine manufacturers cannot be held liable for injuries due to vaccine side effects except in cases of manufacturing defects and improper warning claims (marketing defects). That much is agreed by the plaintiff and the drug manufacturer in the case of Bruesewitz v. Wyeth before the Supreme Court. The Obama Administration, siding with the pharmaceutical industry in this lawsuit, was represented in the Supreme Court by Mr. Horvich, Assistant to the Solicitor General, Department of Justice. What is in question is whether or not ‘design defect claims’ are submissible in State courts, outside of the Vaccine Court system set up by the federal government. Design defects are those inherent in the design of a product unlike manufacturing defects which are accidental production errors. At question is whether or not a pharmaceutical company is liable if they are aware of a better designed vaccination (one with fewer side effects) yet continue to use the less safe vaccination. The less safe vaccination is thereby defective by design. The National Childhood Vaccine Injury Act expressly protects manufacturers from being sued in an effort to incentivize manufacturers to produce vaccines without fear of lawsuits. Congress has also created the federal Vaccine Court system to provide compensation for vaccine injured persons from the money generated by a tax on vaccine manufacturers. The parents of Hannah Bruesewtiz were denied compensation in the Vaccine Court system and now seek compensation through State court. Six month old Hannah received a DPT (diphtheria, pertussis, tetanus) vaccination and immediately suffered a series of 125 seizures over a period of 16 days. Now 18 years of age, Hannah cannot speak or care for herself as a result of her injuries. The vaccine used on Hannah has since been discontinued in favor of safer alternatives. Before the Supreme Court, attorneys for the Bruesewitz family argue that safer alternatives were available at the time Hannah received her vaccine and that the manufacturer had the responsibility of providing the safer alternative and at the very least had the responsibility of providing labeling noting that a safer alternative is available. Mr. Frederick, attorney for the plaintiff argues, “for many vaccines there is no safer alternative, and there could be no design defect claim. But for those instances in which there is a safer alternative, the burden under State law is for the manufacturer to act reasonably in pursuing the safer design, if that is available.” Mr. Frederick added that there will not be excessive lawsuits as a result of a verdict in favor of the Bruesewitz family since the Vaccine Court system already handles all cases except rare exceptions such as this. In the following argument, Justice Kennedy is concerned that the pharmaceutical company attorney asserts that the drug company need never inform the government of safer vaccines and that the consumer may not sue on the basis of the drug company intentionally withholding drug safety information. Justice Kennedy asked, “But if the manufacturer is slow or remiss or negligent or willful in not giving the information to the Government, there is nothing the injured person can do. There is still complete preemption, under your view?” The drug company attorney replied, “Of design defect claims, Justice Kennedy, but not of warning claims.” Justice Kennedy replied, “The warning doesn't have to say, 'Warning: We could make something better if we wanted to'." The court then erupted in laughter. Justice Breyer then noted that the1986 National Childhood Vaccine Injury Act legally protects drug companies from lawsuits due to unavoidable harm (such as side effects from vaccinations) but that the drug company lawyers are now suggesting that they are also protected from avoidable harm lawsuits. Avoidable harm includes withholding information from the government and the public concerning safer vaccines and also not informing doctors and nurses of high incidences of reactions to particular batches of vaccines. The attorney for the drug company replied that if manufacturers were to be sued for avoidable harm they would be “driven from the market” and she reiterated her position that pharmaceutical manufacturers should only be held liable for manufacturing defects and warning claim issues. The Environmental Working Group has just released lab tests showing the synthetic estrogen BPA is found in high levels on cash register receipts. Bisphenol A (BPA) has been linked to cancer, abnormal reproductive system development, obesity, diabetes, cardiovascular disorders and asthma. It also causes epigenetic changes meaning that the effects of BPA can be passed on to future generations. Health professionals and scientists have been trying to get BPAs banned from food packaging to prevent BPAs from leaching into infant formulas, canned foods, and beverages. This new discovery shows that major retailers are using BPA contaminated paper in their receipts including: McDonald’s, CVS, KFC, Whole Foods, Walmart, Safeway, and the US Postal Service. However, many receipts contain little or no BPAs such as those at Target, Starbucks, and Bank of America ATMs. BPAs can be directly absorbed through the skin into the bloodstream. The Centers for Disease Control and Prevention (CDC) shows that over 90% of US citizens over the age of 6 have BPAs in th bloodstream. People working in retail have 30% more BPAs than the average US adult. This is approximately 7 million people. BPA-free receipts are available but are not required. In Japan, the Japan Paper Association eliminated the use of BPAs in paper by 2003. In Wisconsin, the largest thermal paper manufacturer, Appleton Papers, discontinued the use of BPAs in their papers. The EPA has issued a warning for residents of coastal Connecticut, the entire state of Rhode Island, and south coastal Massachusetts due to excessively “unhealthy air quality” predicted for July 24. For Massachusetts, this includes Cape Cod and the islands. EPA’s New England administrator, Curt Spalding, states that “EPA and the medical community suggest that people limit their strenuous outdoor activity.” Ground-level ozone is expected to exceed healthy limits which prompted the official warning by the EPA. Children and those with respiratory conditions are at the highest risk of damage due to elevated ozone levels. The EPA notes that ground-level ozone is created by the interaction of volatile organic compounds and oxides of nitrogen with sunlight. 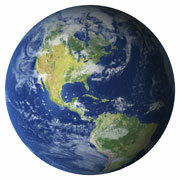 The majority of this pollution is created by cars, trucks, buses and fossil fuel electric power plants. Other contributors include gasoline stations, prints shops, paints and cleaners, and lawn & garden equipment. The EPA has requested that the public take action by using public transportation, car pooling, refueling cars at night to reduce escaping gasoline vapors coming into contact with sunlight, and avoiding the use of small gasoline engine equipment such as lawn mowers, chain saws, and leaf blowers. Nearly all of the high ozone level days have occurred in July for New England. However, areas of Connecticut such as Cornwall, Danbury, and Middletown had elevated levels of ozone as early as May. Other areas getting hit by high ozone levels in May include Acadia NP (Cadillac Mountain) in Maine, the Ware area in Massachusetts, and Miller State Park in New Hampshire. Vermont has not had a single day of high ozone levels, Massachusetts has had 9 days exceeding healthy limits, and Connecticut tops the list with 17 days reaching hazardous levels to human health. The highest readings of ozone were recorded in Martha’s Vineyard in Massachusetts on July 4. For Massachusetts, Martha’s Vineyard exceeded healthy limits 5 times between June and July followed by Fairhaven at four times and East Milton, Truro, and Ware at two times. Areas of Connecticut exceeding healthy limits several times were Greenwich, Stratford, Westport, Danbury, Madison, and Middletown. First Lady Michelle Obama, Dr. Jill Biden, and HHS Secretary Kathleen Sebelius announced a new preventative health care program wherein many medical services will be provided by insurance companies without a deductible, co-pay, or co-insurance. The estimated cost savings by initiating preventative healthcare is expected to exceed $100 billion per year. Over 100,000 deaths per year will be prevented by increasing access to “colorectal and breast cancer screening, flu vaccines, counseling to help them quit smoking, and regular aspirin use to prevent stroke,” according to Secretary Sebelius. As of September 23, 2010, new rules will force private health insurance plans to remove the extras fees such as deductibles and co-pays for preventative healthcare services on new health insurance plans. These rules are a direct result of the comprehensive helath care reform package that was recently signed into law by President Obama. Michelle Obama noted that “too many people aren’t getting the checkups and screenings they need to prevent cancer.” She adds that this reform will help lower costs and hold insurance companies accountable and “it will give our families the security that our insurance coverage will be there when we need it most.” Michelle Obama notes that healthcare reform “makes it illegal to drop your coverage when you get sick or to drop your children from a plan due to a preexisting condition” and that “the best way to control healthcare costs is to prevent people from getting sick.” She listed a few of the services that will no longer be subject to co-pays and deductibles on new private healthcare insurance plans: high blood pressure treatment, measuring BMI (body mass index), mammograms, colonoscopies, cervical screenings, childhood immunizations. Michelle Obama paid special attention to BMI measurements as a means to reduce childhood obesity noting that this health issue is urgently needing attention. Workers helping to clean up the oil spill are at high risk due to direct exposure from chemicals and toxic vapors near areas where the oil plumes are surfacing. Chemical dispersants used by BP in the cleaning process pose health risks as do vapors such as benzene, one of the volatile hydrocarbons in oil. One concern is that BP is using Corexit 9500 as a chemical dispersant. It is toxic at 2.61 PPM (parts per million) and can go through a phase transition from liquid to gas and return to earth as toxic rain. 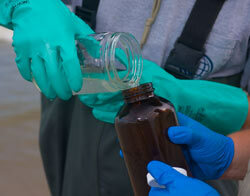 It is estimated the BP has released over 1,000,000 gallons of dispersant. Blanca Laffron, a genetic toxicologist and her colleagues from the University of Coruña in Spain, notes that studies show that exposure to crude oil from coated birds and from cleaning rocks and beaches for under five days causes temporary DNA aberrations. 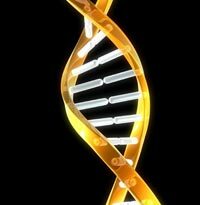 However, workers exposed for several months contract permanent chromosomal DNA damage. Continuing education and research into long-term exposure will inform doctors and nursing professionals as to proper medical protocols for future healthcare. The Centers for Disease Control and Prevention (CDC) have issued continuing educational warnings on air quality, food, water, and chemical dispersants. CDC warns that upon smelling gas or visibly spotting smoke from nearby fires one should “stay indoors, set your air conditioner to reuse indoor air, and avoid continuing physical activities that put extra demands on your lungs and heart.” CDC warns to avoid swimming, boating, and fishing near affected areas and to avoid contact with the oil spill dispersants which are used to break the oil slick into small droplets. The EPA and the US Coast Guard have authorized BP for continuing use of dispersants at the underwater location of the Deepwater Horizon oil spill. The EPA notes that smaller droplets formed by dispersants will biodegrade faster than untreated crude oil. The EPA has also released a directive for BP to “significantly scale back the overall use of dispersants” and to “analyze potential alternative dispersants for toxicity” to “determine whether a less toxic, more alternative dispersant existed in the quantities necessary to address this crisis.” EPA Administrator Lisa Jackson wrote to BP that she and Admiral Landry of the Coast Guard maintain that “...your response to the directive was insufficient. We believe the response lacked sufficient analysis and focused more on defending your initial decisions than on analyzing possible better options.” EPA is asking BP for continuing education and research into dispersant alternatives and BP maintains that Corexit 9500 is the best option. ProQuad is the trade name for the MMRV vaccine produced by Merk pharmaceuticals. It is licensed for use in children from the ages of 12 months to 12 years old. One in five children have the following side effects from the vaccine: soreness or swelling at the injection site, fever, and rash. The MMRV four-in-one combination shot has a higher incidence of fever and rash compared with using 2 separate shots (MMR + V) to achieve the same level of vaccination protection. The CDC notes that “febrile seizures cannot be prevented” due to the MMRV vaccine. MMRV vaccine combines the attenuated MMR (measles, mumps, rubella) with the chickenpox vaccine (varicella). It is often given to children between 1 and 2 years of age. ProQuad side effects are rare but include allergic reactions, difficulty breathing and closing of the throat, hives, weakness, paleness, dizziness, a rapid heart beat, deafness, long-term seizures, coma, brain damage, febrile seizures, acute and chronic arthritis, and a temporarily low platelet count. The measles and mumps component of the vaccine are grown in hens’ eggs and from chicken embryo cell cultures. These strains of the virus are less virulent than those affecting human cells and are therefore called attenuated strains. The rubella (German measles) component of the vaccine is propagated using a cell line developed from human embryonic lung tissue originally from aborted human fetuses. The chickenpox component of the vaccine (varicella) contains live attenuated virus. In the US, 9.7 million doses of the chickenpox-only vaccine were distributed between 1995 and 1998. 6,580 reports of adverse effects were reported and only 4% were determined to be serious side effects. About ⅔ of the side effects occurred in children under the age of 10. Rashes were the most commonly reported side effect. Serious side effects were rare but included encephalitis, ataxia, erythema multiforme, Stevens-Johnson syndrome, pneumonia, thrombocytopenia, seizures, neuropathy, and herpes zoster. Public health policy weighs the risks of contracting measles, mumps, rubella, and chickenpox against the risks of adverse effects due to vaccinations. The CDC opines that the dangers of illness due contracting the live diseases is greater than the risk of side effects due to vaccinations. The FDA is responsible for approving the types of vaccines made available to the US public. Evidence suggests that separate vaccines for each disease may be safer than combination vaccines. In Japan, MMR vaccination has been discontinued and has been replaced with single vaccines for each disease. 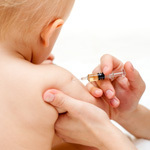 Many healthcare professionals in the US are concerned that if individual vaccines are made available that many children will not receive immunizations for all four diseases. Therefore, a combination vaccine ensures that children are protected from measles, mumps, rubella, and chickenpox simultaneously without any risk that they may not receive all of these shots individually. However, this also increases the risk of side effects due to the vaccination process. Nursing professionals and doctors can base their educational recommendations on balance between broader public health concerns and the individual health concerns of each patient. The CPSC (US Consumer Product Safety Commission), in cooperation with Sprout Stuff of Austin, Texas; has recalled 40 Sprout Stuff infant ring slings. The CPSC urges consumers to discontinue use of these slings since they pose a risk of suffocation to infants. A 10 day old boy in Texas died due to the use of this sling. Consumers can get a full refund for these slings from the company. They sold for about $35 to $45 from October 2006 to May 2007 and were sold directly from the manufacturer. The company is working to contact all purchasers. This recall follows on the heels of other major recalls for baby sling carriers. The CPSC previously recalled 1,200 Ellaroo Ring Sling baby carriers, 165 ZoloWear Infant Carriers/Slings, and approximately 100,000 Infantino SlingRider infant carriers. In general, infant baby slings present two suffocation dangers. Since babies cannot control their heads in the first few months of life due to weak musculature, the sling can press against the nose and mouth. This can lead to suffocation within one to two minutes. 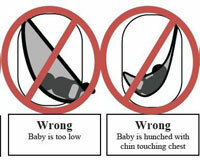 Also, the sling may rest the baby in a curled position with the chin bending toward the chest. In this scenario, airways are restricted and the baby cannot cry for help while slowly suffocating. Below is a photo of the Sprout Stuff sling that has been recalled and the other diagrams demonstrate proper and improper ways to use a baby sling. 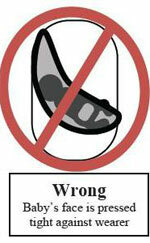 The diagrams are provided by the US Consumer Product Safety Commission. The US Consumer Product Safety Commission, in cooperation with Sony Electronics Inc. of San Diego, California; has recalled 233,000 Sony VAIO laptop computers due to the possibility of burn hazards. The computers may overheat and reports of units overheating resulting in deformed keyboards and casings prompted the recall. The overheating problem is caused by a malfunction of the computer’s internal temperature management system. These computers were sold from January 2010 to April 2010 at places such as: Best Buy, Sony Style, Costco, Frys, and Amazon.com . They came in many colors and are part of the VPCF11 and VPCCW2 series of notebook computers. Owners can check with Sony to see if their computer is part of the recall at telephone number 866-496-7669. 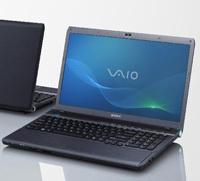 These computers were manufactured in China and the United States, have VAIO clearly marked on the outside panel, and it is illegal to resell the affected units. The US CPSC urges consumers to discontinue using these units and to perform an update on the BIOS firmware to remedy this hazard. Consumers can call Sony or visit a Sony Style retail store for help with installing the update. This firmware update fixes the overheating problem in all of the affected computers. To date, no injuries have been reported. However, both Sony and the US CPSC warm against using these computers until the firmware update has been performed. Blue Cross Blue Shield of Michigan (BCBSM) has asked permission for a rate hike of up to 15% for nearly 200,000 individual subscribers. Hikes for group subscribers will range from 8-12%. The premium increase must be approved by the Michigan Office of Financial and Insurance Regulation for it to take effect. BCBSM claims that they will lose over $50 million dollars without the hike. This may come as a surprise to many policy holders since Michigan’s insurance commissioner approved a 22% increase last year for both individual and group policy holders. Despite the increase, BCBSM claims to have lost nearly $100 million last year. Michigan Attorney General Mike Cox has questioned the loss claims since BCBSM increased its surplus by $528 million in 2009. That is profit on top of the already $2 billion surplus that the company holds. Cox has also questioned the purported losses because the State of Michigan gives the company $100 million in tax breaks every year to help control costs and prevent losses. Last year, Attorney General Cox asked Blue Cross Blue Shield of Michigan pointed questions about their finances. In a letter to BCBSM, Cox asked about bonuses and salaries to board members, perks such as entertainment expenses, and the total value of the BCBSM art collection. Cox also asked for BCBSM to state the amount of funds transferred to affiliated companies. The Attorney General estimated the transfer of funds out of BCBSM to be over $450 million since 2005. Such a transfer would then show up as a loss for the company even though the funds are received by affiliates. This line of inquiry shows that the Michigan Attorney General suspects clever accounting techniques and financial manipulation to help show a loss for BCBSM. At the same time, Michigan Congressmen John D. Dingell and Sander Levin questioned Blue Cross Blue Shield of Michigan President and CEO Daniel J. Loepp about proposed rate hikes. The Congressmen asked questions concerning how much of the rate hikes will go towards paying benefits to subscribers, why the BCBSM massive surplus is not used to offset any losses, and what types of bonuses did employees making more than $500,000 per year receive. This line of inquiring was partially triggered by BCBSM paying enormous bonuses to executives prior to announcing a reduction of its workforce, salary freezes, and rate hikes. Blue Cross Blue Shield of Michigan CEO Leopp had a 23% increase in salary in 2009 to $1.12 million. However, his bonus pay has now dropped to approximately $650,000 down from last year’s $888,269. The FDA has just approved a new treatment for advanced prostate cancer. The FDA has approved Provenge, a cellular immunotherapy drug. It is the first drug approved by the FDA in its class. Provenge works by stimulating the body’s own immune system to attack the cancer. Skin cancer is the most common form of cancer amoung men in the U.S and prostate cancer is the second most common form. The National Cancer Institute reports that in 2009 approximately 27,000 men died from prostate cancer and 192,000 new cases were reported. Provenge is manufactured using the patient’s blood. Immune cells from the blood sample are processed to enhance their ability to fight cancer in a process known as leukapheresis. The cells are then re-administered to the patient intravenously in three doses. The FDA was prompted to approve this therapy following a study of 512 patients with advanced prostate cancer. Patients taking Provenge lived an average of 4 months longer than those who did not receive the treatment. Nearly every patient who received the Provenge therapy experienced adverse reactions including back pain, joint pain, chills, fatigue, fever, headache, nausea, or stroke. Provenge costs $93,000 for a total of three required dosages. President Obama has nominated Donald Berwick to run Medicare and Medicaid. Dr. Berwick, M.D., M.P.P. is a Professor of Health Policy and Management at the Harvard School of Public Health, a pediatrician, President of the Institute for Healthcare Improvement (IHI), and a consultant in pediatrics to Massachusetts General Hospital. 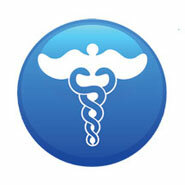 He is widely published on the topic of health care systems with a focus on improving access to quality medical care. His books include Curing Health Care, New Rules: Regulation, and Markets and the Quality of American Health Care. His scientific articles have been published in The Journal of the American Medical Association, The New England Journal of Medicine, The British Medical Journal, and many other prestigious medical periodicles. President Clinton appointed Dr. Berwick to serve on the Advisory Commission on Consumer Protection and Quality in the Healthcare Industry. He received his MD from Harvard Medical School and his MPP from the John F. Kennedy School of Government. Dr. Berwick is controversial for the statement, "...any health care funding plan that is just, equitable, civilized and humane must, must redistribute wealth from the richer among us to the poorer and the less fortunate. Excellent health care is, by definition, redistributional." Central medical ideas to the IHI and Dr. Berwick are no needless deaths, pain, or suffering; no waiting, no waste, and access to medical care for all. He has numerous awards and honors for his achievements in healthcare including the Heinz Award for Public Policy, the Award of Honor from the American Hospital Association, and the Alfred I. DuPont Award. Many of Dr. Berwicks’s achievements seek to not only improve the quality of medical care but also to improve the safety of the healthcare setting for both patients and healthcare workers. Seasonal flu vaccines have been linked to increased outbreaks of H1N1 (Swine Flu) in four different epidemiological studies. Serious questions have been raised concerning the biological interactions between influenza strains and vaccines. Patients who received the seasonal “flu shot” in 2008 and 2009 had a significant increase of developing H1N1. Both the seasonal flu and the pandemic H1N1 flu are due to strains of influenza virus and separate vaccinations are used to prevent each illness. These findings may impact recommendations by doctors and nurses for patients seeking medical information. An initial inquiry began after investigators noticed that the majority of people with illnesses characterized by fever and coughing had received the seasonal flu vaccine. The investigation was initiated to explain this phenomenon and looked at people receiving seasonal flu shots (TIV) and their subsequent outbreaks of H1N1. Four separate epidemiological studies were launched to study the cause and means of this phenomenon. The studies revealed that TIV vaccines were effective in reducing seasonal flu outbreaks but increased a person’s chances of getting the swine flu (H1N1). All four studies showed that those who received the seasonal flu vaccine had approximately twice the chance of developing the H1N1 swine flu. The study included researchers from the British Columbia Center for Disease Control (BCCDC) in Vancouver, the National Microbiology Laboratory in Winnipeg, Canada; and the Ontario Agency for Health Protection and Promotion. A study published in PLoS medicine in April 2010 revealed the unexpected findings from the four epidemiological findings. The trivalent inactivated influenza vaccine (TIV) was shown to have a counterproductive effect toward H1N1. Patients presenting with influenza syndromes were tested by a network of physicians for influenza virus with RT-PCR and an investigation of demographics, clinical outcomes, and vaccine status. Influenza-positive patients were then compared with influenza-negative patients. The results confirmed that TIV lowered the incidence of seasonal flu outbreaks when properly matched with circulating influenza strains in a given season. Alternately, mismatched vaccines did not have the same clinical benefits. However, even with adjustments for comorbidities, age, and geography; the seasonal flu vaccine (TIV) appeared as a risk factor for the swine flu for those under 50 years of age. The four studies conclude that recipients of the seasonal flu vaccine are approximately twice as likely to get the swine flu (H1N1). A causal link has not been established between TIV and H1N1 and investigators suggest further studies to explain this unexpected phenomenon. Both nurses and doctors will be better informed regarding patient recommendations once further study has been completed. The US Consumer Product Safety Commission (CPSC) has announced a voluntary recall of baby cribs which pose strangulation and suffocation hazards. Approximately 635,000 baby cribs made by Dorel Asia have been recalled because the drop side hardware can fail and trap the infant in the opening between the drop side and the crib. A six month old child from Cedar Rapids, Iowa was entrapped and died due to strangulation thereby prompting this recall. Several other incidents were reported in which children received bruises and scratches as a result of entrapment. These cribs were sold at K-Mart, Wal-Mart, and Sears from January 2005 to December 2009 and sold for between $120 and $700. The CPSC has issued a warning to parents and caregivers. Tighten the hardware occasionally to make sure the crib is sturdy. Also, check any moving parts, especially drop sides, to ensure that they operate smoothly. The CPSC notes to check sides and corners such that there are no gaps that may entrap a child. 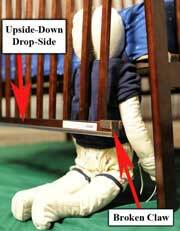 Also, the CPSC strongly warns not to repair the sides of the crib, especially with duct tape, wire, or rope. In the past, other major recalls for cribs were issued by the CPSC including 985,000 Delta Enterprise drop side cribs. Also, 2.1 million Stork Craft drop side cribs, some under the Fisher-Price logo, have been recalled. Several issues have been noted such as broken claw attachment pieces and upside down installation of the drop side. The manufacturer will issue a repair kit for these cribs and users are urged to stop using these units. Stork Craft cribs are distributed in the USA and Canada and were sold at major retailers such as BJ’s Wholesale Club, J.C. Penney, K-mart, Sears, USA Baby, and Wal-Mart stores and online at Amazon.com, Babiesrus.com, Costco.com, Target.com, and Walmart.com . Many of these cribs have the terms storkcraft baby and storkling on the drop side teething rail. It is important to look for little gaps in which infants can get stuck by performing a careful inspection of the hardware. 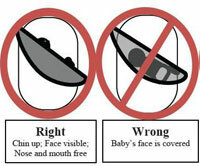 Importantly, children can slide in between the mattress area and the movable drop side of the crib. Make sure the children cannot slip into this area. This helps ensure safety for the child and peace of mind for caregivers and parents. The role of the CPSC is to oversee hazard identification, safety standards, compliance and enforcement, public outreach, and intergovernmental cooperation relating to consumer product-related injuries. The crib recall is voluntary with cooperation of the manufacturer. The manufacturer will issue fixes and consumers are urged to stop using the recalled cribs until replacement kits are installed. Contact the CPSC for further information to assist you with the recall. Under direction of the Obama administration, the EPA (US Environmental Protection Agency) and the DOT (Department of Transportation) have set new federal emission standards for passenger cars and light trucks. National greenhouse gas emissions have been established and tighter fuel economy requirements will affect 2012 through 2016 model-year vehicles. The EPA estimates that the improved mileage could save consumers up to $3,000 over the life of a vehicle. In balance, the Obama administration has released these new ecologically oriented standards on the heels of announcing the opening up of massive amounts of US terrain to offshore oil and gas exploration. The Transportation Secretary states that Americans will “save money at the pump while putting less pollution in the air” because of the new regulations. EPA administrator Lisa Jackson noted that this move combines economic opportunities with “environmental priorities.” In a new effort of collaboration and simplification, cars and light trucks will meet only one federal standard instead of having to meet three separate standards set by the State, DOT, and EPA. By 2016, a manufacturer’s fleet must average 34.1 mpg. This is achieved by requiring a 5% per year increase in fuel efficiency leading up to the 2016 standard. For cars and light trucks produced from 2012 to 2016 this is a reduction of 960 million metric tons of carbon dioxide emissions over the lifetime of the vehicles. The EPA notes this is the equivalent of taking 50 million cars and light trucks off the road in 2030. This also saves 1.8 billion barrels of oil. The Obama administration worked towards these cleaner air standards and increased fuel efficiency standards in a joint effort with automakers, the United Auto Workers, States, and many involved in the environmental community. These standards make substantial gains in air quality and may help prevent toxic brown clouds from appearing over cities while reducing dependency on oil. This may help to reduce respiratory illnesses in populations due to air pollution. While these new emission standards are cleaner than they have ever been, they pale in comparison to zero emissions vehicles (ZEVs) which are already on American roads. ZEVs are vehicles that emit no tailpipe pollutants. This includes electric vehicles and vehicles powered by hydrogen fuel cells. Hydrogen fuel cell vehicles emit only water. It is safe to drink the water from the tailpipe! Rather than convert the entire fleet to zero emissions, the Obama administration has taken a moderate approach by requiring a slow shift to higher efficiency vehicles.